The demand for co-working space in the first quarter of this calendar year stood at 2 million sq feet, higher than 1.8 million sq feet for the entire 2017, as shared office concept gains momentum, a latest Knight Frank report said. 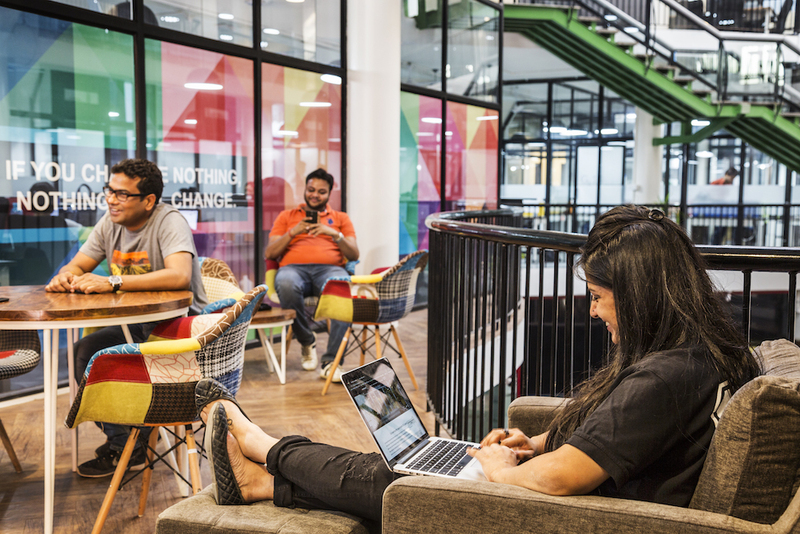 “India is at the cusp of a co-working revolution with several large players spread across the country. There are close to 200 co-working players running an estimated 400 shared workspaces across the country today, compared to just Regus and few localised players in 2010 running less than 30 such centres,” the consultant said in a statement. While co-working companies took up a modest 1.8 million sq feet in 2017, the first quarter of 2018 itself has exceeded the annual tally of 2017 at 2 million sq feet, it added. Despite sharp rise in demand, the co-working operators accounted for only 1.8 million sq feet leased, out of total 41 million sq feet of annual commercial office space transactions volume, the consultant said. However, it said that the annual transaction number is expected to triple from current levels over the next 3 years, driven by the expansion plans of major players and the increasing appetite for this format from occupiers, property owners and co-working operators. Regus is the most established and largest shared workspace operator in the country today with about 2 million sq feet and 20,000 seats under operation, while WeWork and CoWrks are among the newest and most aggressive players in the co-working space, the report said. Currently, NCR, Mumbai and Bengaluru house most of the co-working stock in India, followed by Pune and Kolkata. Private equity players have also been looking to invest in co-working startups. One prominent example is that of Sequoia Capital that invested $20 million in mid-2017 in co-working space start-up Awfis. Knight Frank also listed out challenges for this segment such as changing the conventional mindset of a client who would want to book a meeting room based on the touch and feel factor rather than an app. Data security and privacy are also impediments in the way of a corporate taking up co-working space.